Maake has collaborated with galleries across the United States to curate exhibitions featuring contemporary artists. A few of our recent curatorial projects are listed here. Click on a show to find out more. 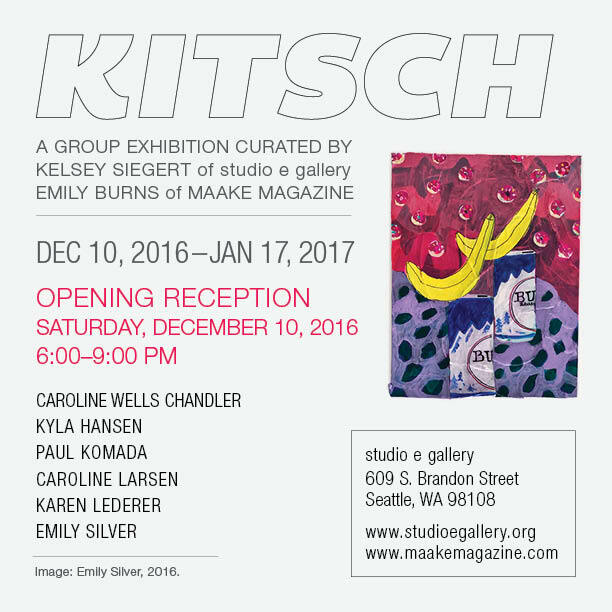 studio e gallery and Maake Magazine are pleased to present the group exhibition Kitsch, curated by Kelsey Siegert and Emily Burns of MAAKE magazine. 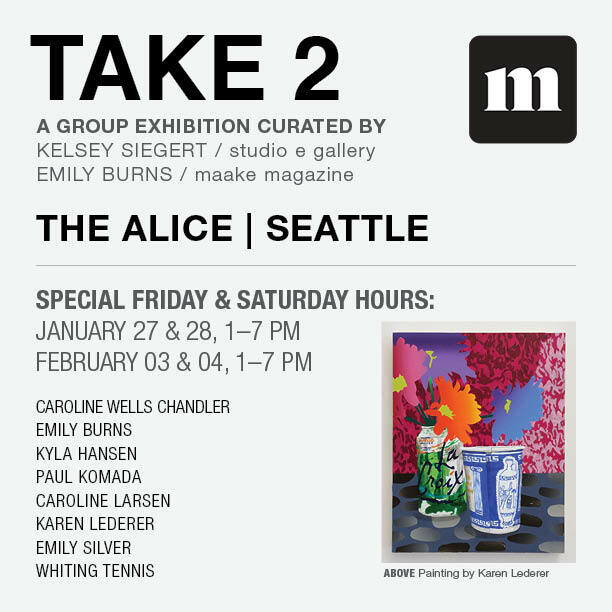 Kitsch features multi-medium work from Emily Silver, Karen Lederer, Caroline Larsen, Caroline Wells Chandler, and Seattle based artist Paul Komada. In conversation with one another these works elevate and challenge notions of craft kitsch, and the politics of object making. A survey of contemporary painting and works on paper by thirty-three contemporary artists curated by Emily Burns. The exhibition takes place at the Woskob Family Gallery in downtown State College, PA.